Dimensions: 0.5" x 8.25" x 3.5"
The Fiskars Premier 8" Scissors are economical and versatile scissors. They create a smooth edge to cut thermoplastics perfectly. The blades measure 4 inches and are 8 inches in overall size. The scissors are bent and are meant to be used with the left hand. Dimensions: 1.05" x 10.5" x 3.88"
The Fiskars Premier 8" Scissors are economical and versatile scissors. They create a smooth edge to cut thermoplastics perfectly. The blades measure 4 inches and are 8 inches in overall size. The scissors are bent and are meant to be used with the right hand. Dimensions: 1" x 10.5" x 3.88"
The CanDo® Heat Gun Kit is a splinting kit that includes the CanDo® Heat Gun, 3/8” Air Concentrator, 3” Air Spreader and Blow Mold Case. 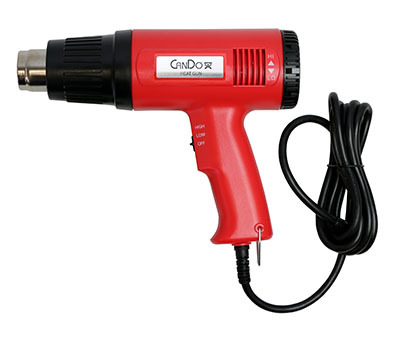 The CanDo® Heat Gun is a compact and lightweight heat gun that is designed to be used with thermoplastics. It features a variable temperature control which allows temperature adjustment from 250-1100 degrees Fahrenheit (121 degrees -593 degrees Celsius). It has a built-in safety stand which allows clinicians to use both hands to manipulate splinting materials when needed. 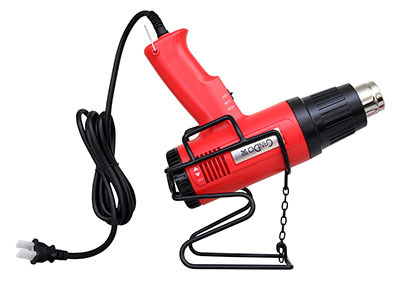 This heat gun also has a high-quality heat element and two-speed motor for durability and efficiency. The 3/8" Pin-Point Air Concentrator and 3” Air Spreader are accessories that attaches to the tip of the heat gun to direct airflow to a specific or larger area of the splint. The CanDo® Heat Gun and attachments come in a Blow Mold Case that conveniently houses and protects the kit from external damage. Dimensions: 11.5" x 12" x 4"
The CanDo® Heat Gun is a compact and lightweight heat gun that is designed to be used with thermoplastics. It features a variable temperature control which allows temperature adjustment from 250-1100 degrees Fahrenheit (121 degrees -593 degrees Celsius). It has a built-in safety stand which allows clinicians to use both hands to manipulate splinting materials when needed. 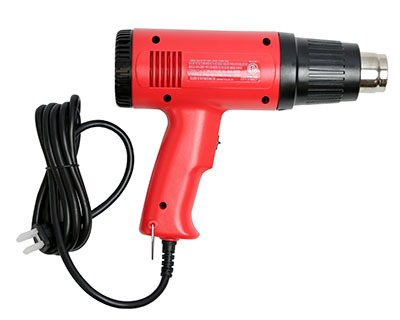 This heat gun also has a high-quality heat element and two-speed motor for durability and efficiency. Dimensions: 9.75" x 7" x 2.75"
The 7/8" Air Concentrator Attachment is an accessory to the CanDo® Heat Gun. 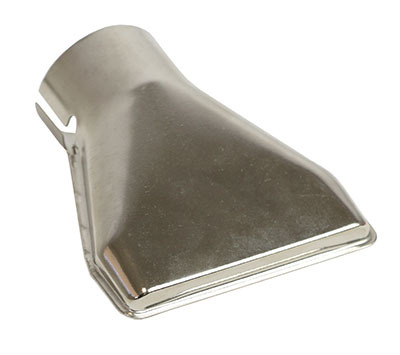 This accessory attaches to the tip of the heat gun to concentrate airflow to a more specific area of the splint. 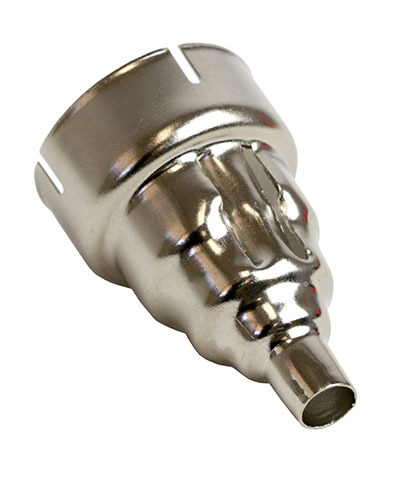 Dimensions: 1.5" x 2" x 1.5"
The 3/8" Pin-Point Air Concentrator Attachment is an accessory to the CanDo® Heat Gun. This accessory attaches to the tip of the heat gun to concentrate airflow to a certain area of the splint with extreme accuracy. 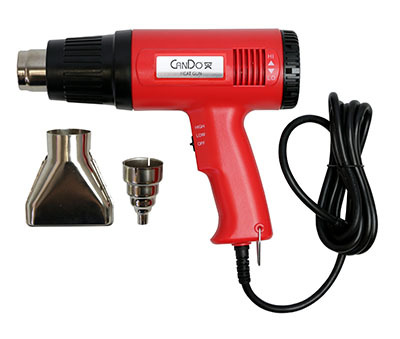 Dimensions: 1.5" x 2.5" x 1.5"
The 3" Air Spreader Attachment is an accessory to the CanDo® Heat Gun. 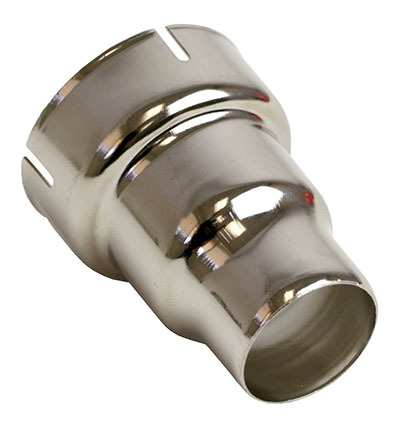 This accessory attaches to the tip of the heat gun to direct airflow to a larger area of the splint. 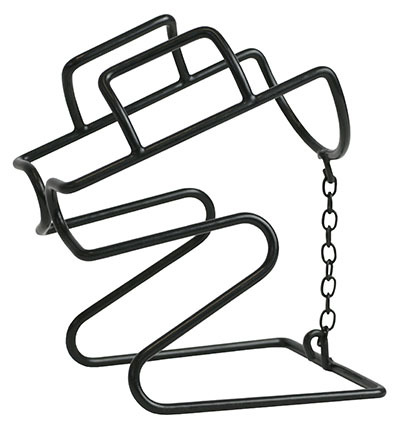 Dimensions: 3" x 3.25" x 1.5"
The CanDo® Heat Gun Stand is an accessory to the CanDo® Heat Gun. It allows for an easy hands-free use of the CanDo® Heat Gun and improved safety. 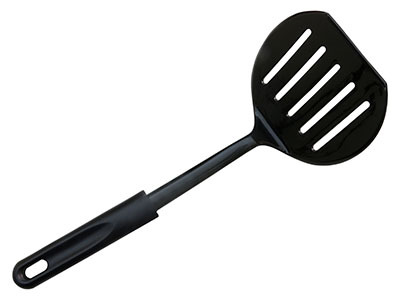 Dimensions: 5.5" x 6.75" x 4.5"
The Nylon Spatula is great for safe handling of thermoplastics. It features an extra wide head for easy lifting of warm thermoplastics out of heating pans. 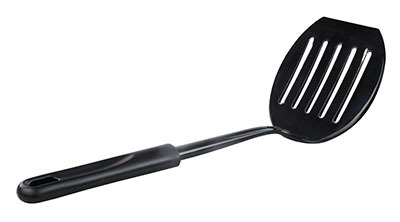 It is heat resistant up to 450 degrees Fahrenheit and has a tapered edge that decreases marks to the splint. 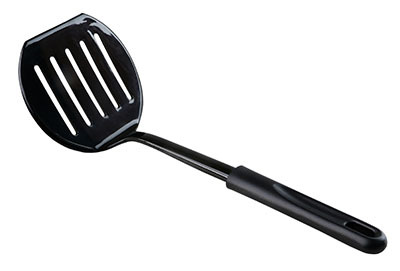 The Nylon Spatula is made of a nylon construction and is dishwasher safe. It is black in color and is 11 ½ inches in length. Dimensions: 11.5" x 1.2" x 3"
The Quick Freeze is a cold spray that can used for cooling thermo plastics. Use it to instantly freeze thermoplastics that were just heated up and melted. Take less time to cool the thermoplastic to its final form. This odorless splinting accessory is nonflammable and does not leave any residue. 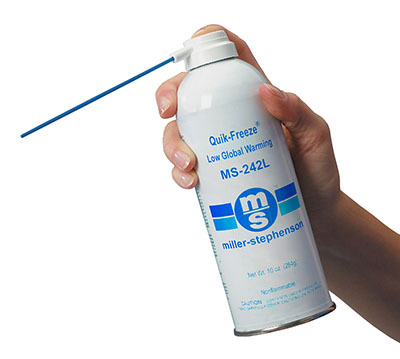 The Quick Freeze comes in a fourteen ounce aerosol can. Dimensions: 2.63" x 7.75" x 2.63"
The Quick Freeze is a cold spray that can used for cooling thermo plastics. Use it to instantly freeze thermoplastics that were just heated up and melted. Take less time to cool the thermoplastic to its final form. This odorless splinting accessory is nonflammable and does not leave any residue. The Quick Freeze comes in a case of 12 fourteen ounce aerosol cans.